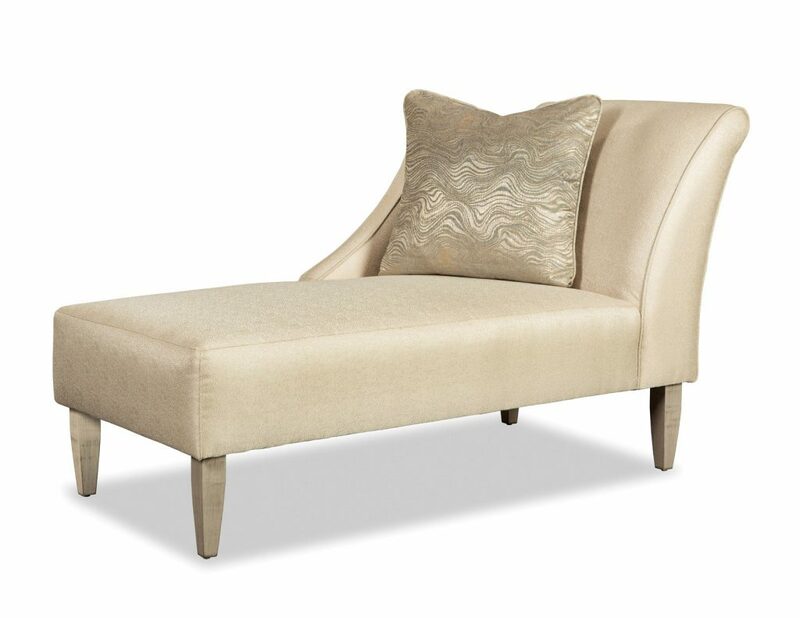 Dramatic and sleek, this chaise lounge has outstanding curve appeal! It features a plush tight seat and beautiful shaping to the back and arm. Comes standard with one toss pillow as shown. This chaise can also be ordered with the arm on the right facing side. Perfect for ordering in pairs. Available in multiple fabric and finish options.